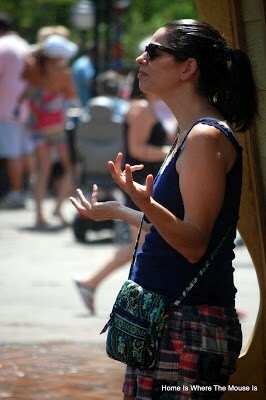 The reasoning? Crowds and wait times, as well as temperatures, are at their peak. 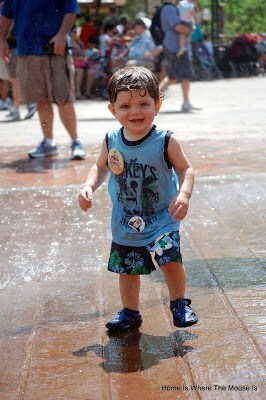 Getting away from the crowd will reduce your stress level, and cooling off from the heat will make everyone happy. 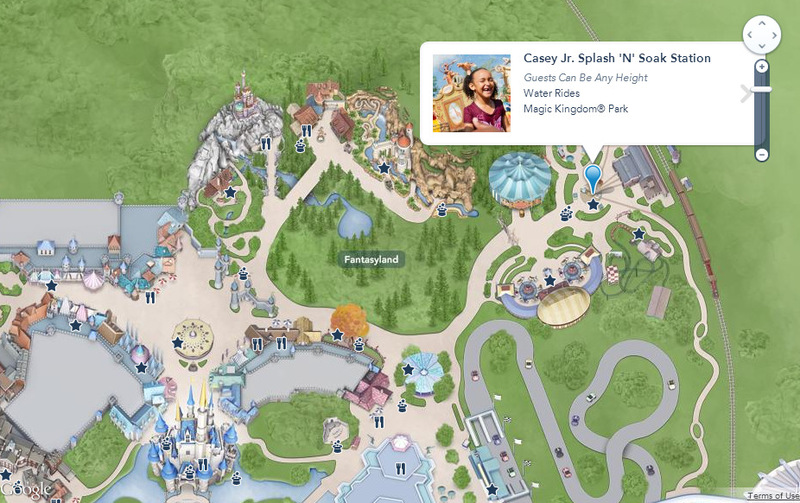 The downside: you’re leaving the parks, and depending on where you are staying, you’ll be spending precious time in the car/ferry/monorail/bus getting to and from your resort. 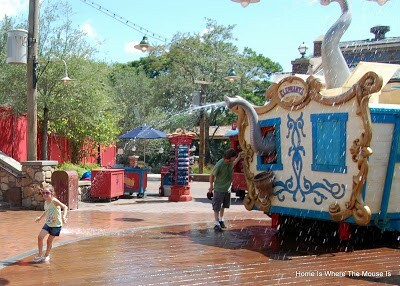 We’re going to talk more later this week about ways to beat the heat at Disney… but for today, we’ll focus on one specific addition Disney’s made to the Magic Kingdom that makes it possible to skip the resort/pool idea and stay in the park during the afternoon, The Casey Jr. Splash ‘N’ Soak Station! 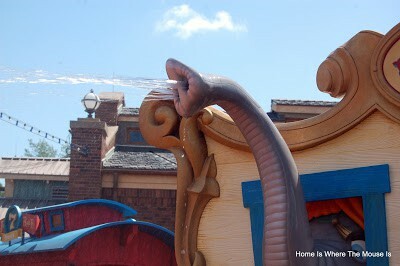 Nestled in the back of the New Fantasyland, in the area that formerly was Mickey’s ToonTown, is one of the less-hyped additions to the Magic Kingdom. 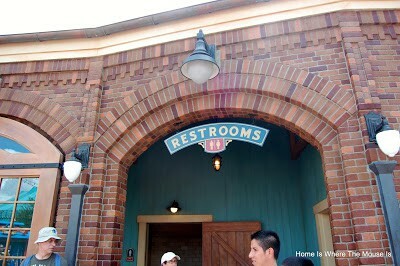 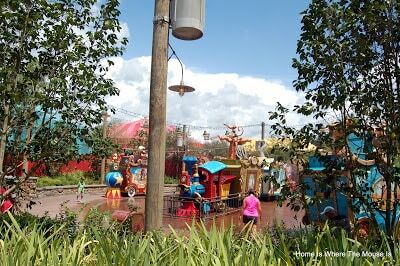 The Casey Jr. Splash ‘N’ Soak Station is located adjacent to the new double Dumbo and the Barnstormer, the WDW Railroad station, and Pete’s Silly Sideshow. 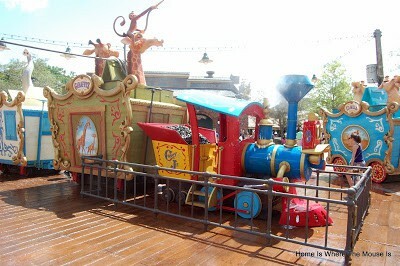 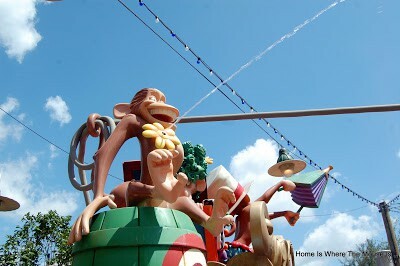 The area is themed as the Casey Jr. train which has pulled into New Fantasyland to set up the circus. 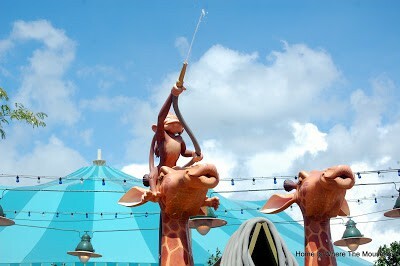 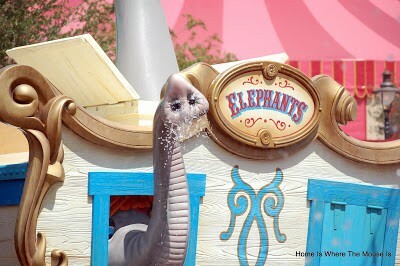 Giraffes, Elephants and Monkeys are all aboard the train and waiting to spray water on guests! 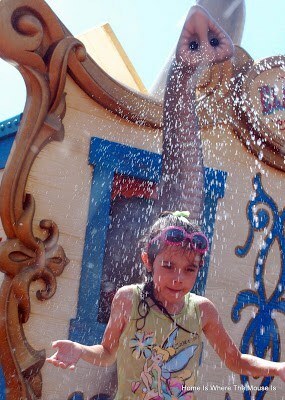 Even Lisa enjoyed cooling off while watching Jackson run around. 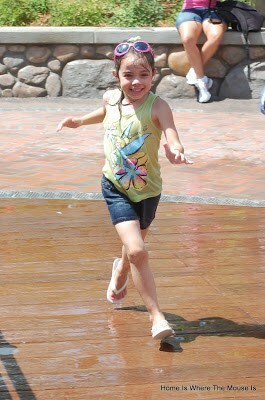 The trick was just finding a spot where she could stand and only get a little wet! 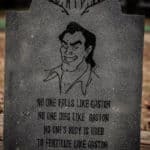 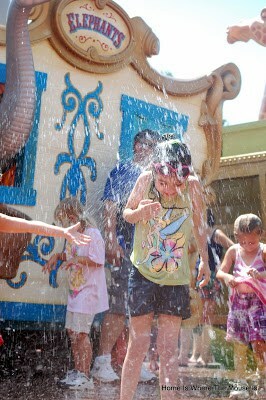 This is hands down the best “splash area” I’ve ever seen at a Disney park. 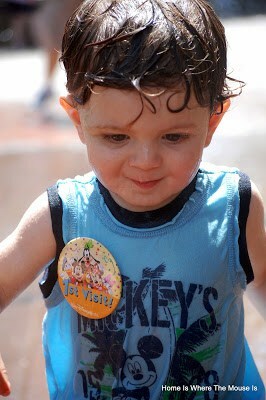 So, instead of going back to your resort pool, bring the bathing suits or a change of clothes to the park! 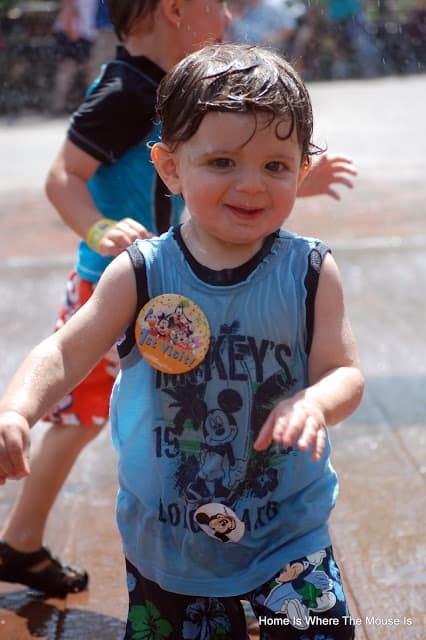 Spend the heat of the afternoon getting cooled off, while still enjoying Disney Magic!